Beginning with workers in 1890, then truckers a few decades later and now, is the youth or simply, any person who love fashion. The best thing about Levi’s jacket is that it’s one of the easiest and must-have items in your closet. You can dress up or dress down with this item, which allows you to add a huge statement to your outfit without putting much effort. But enough about history and their stories, back to the beginning question, well, this should be a harsh one because obviously, there’s no exact answer that can point out a certain product line will fit demands, preference, body shapes and fashion tastes. It’s kind of like the phrase “one size fits all”, which is too good to be true. That’s why in this article, I’m going to list out top 10 best Levi’s Sherpa Jackets for the quality. But on top of that, I will guide you which of them is the best bet for a certain demand, taste and body shape. Don’t miss out! If you want to know what the best denim jacket on the market is, try this Sherpa Jacket Type III. Actually, I’ve reviewed it in the last article about the top must-try Sherpa jackets this winter, but here, I’m going to dive more detailly about this one because there are a lot of things to say. But first, I want to make clear that when I judge the Type III as the best denim jacket at the market now, I’m not saying this is the best quality or like fashion or design, I think for the price it is and how much you can wear it. Truth to say, based on its premium material, it doesn’t matter to beat this mens levis sherpa jacket up a little bit. Probably, it is your best bet in a long-term investment for a good outerwear in winter for both function and design. I personally love the whole look of Levi’s Type III Sherpa Jacket. It’s versatile and you can style it down with a t-shirt underneath and a pair of sweatpants for a perfect aesthetic look. The best thing about this jacket is it easily turns your comfortable day into a stylish one. You can make anything look good with it. Now, about the size, I highly recommend you to go a size up to layer comfortably with a thick hoodie inside. In terms of lining which is also the most concern of many people, the Sherpa lined in its collar and the backside is great, soft and especially, keeps you very warm. I once wore it to go to Georgia with my favorite hoodie inside. The temperature was around 20 degrees Fahrenheit and I was good. The sleeve doesn’t have Sherpa, but it’s lined carefully and warmly so, really satisfied with this blue levis sherpa jacket! You know what, the only thing that I do wish the Type III didn’t have differently was its snap button. There are too much throughout the jacket, like on the cufflinks, the frontside, the bottom hem, and the triangle jackets, which I think they are so noisy. That’s why I love this Faux-Shearling Trucker Jacket more because of its button closure. Though it might take you more time to close the whole jacket, but it’s quite silent and comfortable. If you are looking for an urban spin for your American style daily outfit, look no further than this. And I also like its small change in material – instead of utilizing 100% cotton like the above counterpart, this one uses a blend of cotton and polyester to lessen its weight while providing the same warmth and comfort. But here’s where the real fun begins, thanks to the addition of polyester, this corduroy levis sherpa jacket can wick moisture pretty fast and dried quickly as well. Also, still feel ease in mind that it’s machine washable. So, I find this material combination is a great bonus! Now, speaking of its warmth, like the Type III, this Trucker Jacket comes in shearling lined collar and Sherpa lining on the backside. Though it’s all faux but the warmth it does bring can’t joke. You can stay comfortably in sub-zero temperature, with just a hoodie layered inside. Its sleeves, again, don’t have Sherpa, however, they are lined softly and warmly. But the best thing about this Sherpa jacket is despite its nice warmth, its silhouette is still slim-fit and cool. There are also some buttons at waist so that you can adjust it for closer fit. My last thing is I love wearing this jacket with a hoodie inside. You can style it with a crewneck, too. It makes the whole look much better than just going for a full-black outfit or a simple, basic look. You can wear it with a lighter pair of winter boots, sneakers or sweatpants, whatever you want. But, the jacket itself is going to be the main focus, as always. I mean it just pops. I’m a large and an XL is great on me. You should go true size or one size up for layering. Now, if you are a big guy, what struggle you the most when choosing clothes? Is it size? High-five if it’s a “yes”. This’s a common issue when you find out a really favorite apparel and then it doesn’t have the true size for your body. Sad story! That’s why I’m so much grateful to Levi’s when they provide a separate design with only large size for big and tall guys. You can see it in the size chart – it’s up to 5XL. But my advice is you should go one size up to wear a hoodie comfortably inside. On the other hand, its design is quite stylish with true urban look of American style. With medium length and slim-fit silhouette, it makes you look slim and lean amazingly. If you love thinner look, just adjust its waist tab and snap buttons on the cufflinks. This is what I also love about Levi’s Trucker Jacket. It doesn’t end up with a sack shape that even makes us look more “giant”. It keeps an incredibly flat and thin look to create a perfect balance look to the eyes. Besides, it’s also warm and comfortable thanks to the premium Sherpa lining and quilted sleeves. As always, the quality of materials and the manufacturing are two first rates. 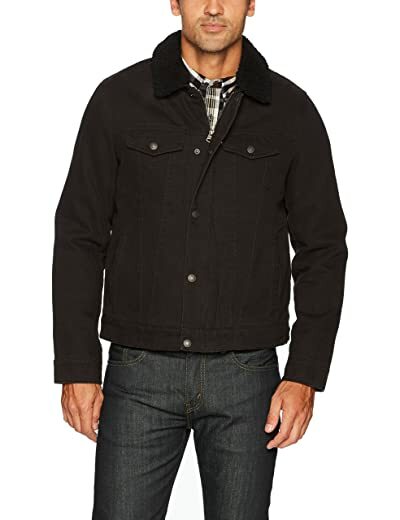 Truth to say, I like to have a regular denim jacket, but this Levi’s Men’s Washed Sherpa Jacket is the best, especially if you are looking for a zippered design but don’t prefer the exposed zipline. Only when trying this Zippered Closure Jacket, you are able to feel fully how convenient and elegant it is. I once complained the Type III Sherpa Jacket because it comes up with too many snap buttons. This one includes some snap buttons, too. However, it doesn’t annoy me at all. On the contrary, it helps to hide the zipline and makes the jacket itself more closure. Once again, a compliment for their thoughtfulness when attaching several snap buttons along the zipline that you can have it closed in different height. You can snap it fully for full coverage and a formal look. Or, unsnap some at the top for casual vibe. 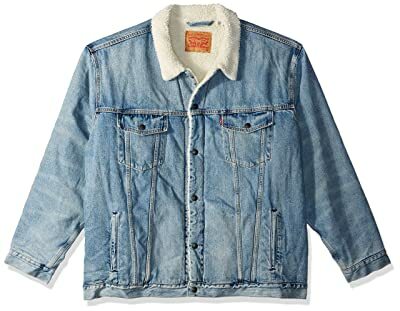 Along with that, in this denim men’s levis sherpa jacket design, there is an extra chest zippered pocket to take both roles of a decorative detail and a functional storage space where you can put in some important stuff securely like money, document, card and so on. But the best thing is it has an inner chest pocket as well. I used to look for such that jacket with a hidden pocket so far because I don’t like putting my wallet or smartphone exposed on the outside. It’s so risky that pickpockets can steal it anytime. I would love wearing this throughout winter for its warmth. Not only made out of high-quality cotton, this jacket is also lined with full Sherpa, which is something that other counterparts can’t have. Other than that, you have up to 4 color options to choose from. Perfect! Actually, when I first saw this camouflage jacket that is only Sherpa lined in its hood, I thought its warmth would be poor to be a winter outerwear. But they said “Never judge a book by its cover” and I was wrong. Tested this jacket in the Eastern Washington wildness when its temperature falls down to -7 degrees Celsius and I still felt warm. If you are a person who can’t stand the cold well, let’s layer one thick hoodie underneath, a scarf and a cozy pair of winter boots. This jacket is a bit longer than other Levi’s above for more coverage. Plus, it’s water resistant, which is why I’m going to highly recommend it for outdoor activities such as camping, hiking or trekking, especially in harsh and unexpected weather like snow, rain, or suddenly drop-down temperature. Now, are anyone wondering why it’s waterproof? Well, the materials of this jacket is a little bit different from other counterparts, which is up to 84% polyester and only 16% cotton – super lightweight, fast moisture wicking, quick drying and water resistant. Its Sherpa lined hood is really warm you don’t need a beanie at all. Another great bonus which is also my favorite is its four large flap pockets on the outside and one spacious inner on the left chest area. They are closure, secure and huge enough for a bifold or trifold wallet, a smartphone, your gloves and stuff like that. In terms of the silhouette, this jacket is originally wide fit which is understandable for layering. However, if you prefer slim-fit or closer-fit, there is an adjustable drawcord on the inside. Overall, if you are looking for a winter jacket for outdoor use like camping, hiking, or traveling, this jacket will far exceed your expectation. Rarely there is a jacket that’s even more beautiful than its images like this Levi’s Leather Sherpa Jacket. 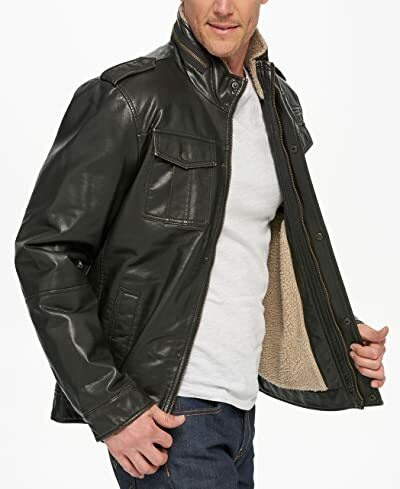 You might think its leather texture would be thin and cheap like other faux leather jackets due to its shine on the pictures, but in reality, it looks great with quality feeling. The jacket does be shiny, but it’s absolutely not as bad looking. Of course, compared to a genuine expensive leather jacket like Calvin Klein, this can’t deliver such that heft. However, it does have some weight when picking up. As crafted from premium faux leather, it’s durable, windproof, long-lasting and comfortable. Besides, its inner Sherpa lining is faux as well, which is the best bet for environmentalists. Take note that the sleeves’ lining is nylon, but it’s really warm. If taking a closer look on their buttons, hood pulls, and zippers, you will see their exquisitely embossed brand logo. Though small, I really appreciate how hard work and elaborate that Levi’s put on their “child”. Unlike other apparel brands who try to insert their logo as much and big as possible on their products, Levi’s choose this clever and elegant way to make each single jacket more unique and outstanding. I’m a solid fan of that! If you are looking for a nice Sherpa jacket that’s not only warm, windproof, but also cool and stylish, look no further than this Levi’s. Levi’s Men’s Four-Pocket Hooded Jacket is my fourth choice for those days I would like to soup up my vintage outfits ten times better. Its washed-cotton material does bring a true vintage and retro style, at least in my standards. If you want to elevate it, beat it as much as you can, especially using your washing machine. Besides, it matches perfectly to the zip-up front with shoulder epaulettes, snap placket, the zip-out jersey hood and snap-flap outer pockets. Take note that the flap pockets are large enough to accommodate a wallet or smartphone. As the Faux-Leather Trucker Jacket or the Arctic Cloth Sherpa Coat, is a hidden pocket in the left chest area where you can rest assured to put in some important stuff whilst keeping pickpockets at bay. Almost Levi’s Sherpa jackets don’t go loose fit. It hugs nicely to the wearer’s body from aesthetic to medium frame due to the wise cut. 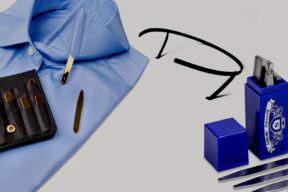 Plus, there are some snap buttons on the waist tab or the cufflinks for you to adjust and get a closer fit as desire. If you are a person who love wearing a hoodie under your jacket, good news is that the hood of this Sherpa coat is removeable. And, with just one hoodie or thick sweater underneath, you are good down to roughly frost-bite sub-zero temperature. On snowy days, let’s layer more because I feel that this vintage levis sherpa jacket isn’t as warm as other counterparts. About the size, as this jacket is made in USA, just go true size. Bottom line, this is really an exceptional jacket that you should try. 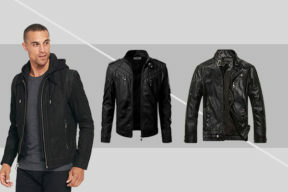 Now, for those who want to own a cool, well-made leather jacket but don’t like to spend thousands of dollars because that’s freakily expensive for your budget, here’s the best bet for you. From my experience on genuine leather jackets, I can assure that it’s hard to tell this Levi’s Deer Leather Sherpa Coat isn’t the real deal. Moreover, you will get two biggest bonuses from the faux leather material: less maintenance requirement and no breaking in period. Other than that, its pleather isn’t as stiff as the genuine leather jackets when the outside temperature drops down. As I said, when it first arrived, this jacket was totally butter soft without stiff feeling to be a perfect to-go outerwear. Also, its faux Sherpa lining does a great job of keeping you warm. However, in frost-bite temperature, you should layer more for the most comfort and coziness. In turns, this Sherpa jacket strikes back with great windproof ability that is going to be a perfect winter jacket for motorcyclists. It’s cool, stylish enough to be an urban spin to your outfit. With this jacket, you should go true size as it would fit snugly over a hoodie or sweater. Aside from warmth and sharp looking, this jacket also satisfies me by its plenty of room for my essentials such as keys, wallets, smartphone, earphone and so on. But the best thing is these pockets don’t tend to bumpy or lumpy after fulfilled by lots of stuff. It’s something more about thoughtful piece of design work that rarely other companies would pay attention to. Levi’s also put some snap buttons on cufflinks and tabs so that you can adjust its fit either closer or wider as you want. Move on the next Sherpa jacket is this Cotton Canvas Tucker design. Once again, go for true size if you are from aesthetic to medium frame and one size up for the rest. Speaking of the design, it’s pretty much your same jacket except for its dark gray and black lining on the inside. Another thing that I actually really like about this Sherpa coat is that they do not have silver buttons. Truth to say, I am usually not a fan of those buttons from Levi’s because they are too shiny look on a denim jacket. With that being said, these nice grey levis sherpa jackets are definitely a great touch and maybe something that’s not really talked about often. Now, for the material, its whole shell is made out of high-quality cotton whilst the lining is faux Sherpa, except for its sleeves which are quilted. But don’t be quickly disappointed just because it’s not the real deal. You will be grateful to this choice of Levi’s to save you lots of money on a real fur jacket but end up with the fact that you only wear it in a certain seasonal purpose. 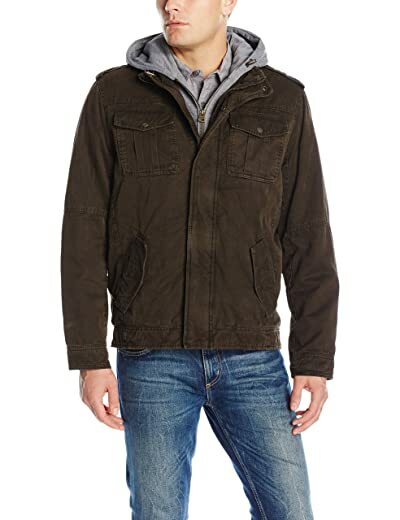 With Levi’s, the warmth level of their jacket is guaranteed to keep you cozy and comfortable during the cold. Besides, it doesn’t ask much maintenance requirement like the real one. Plus, much lighter than to keep you in heaven even wearing a whole day long. On top of that, you can machine wash this jacket. If you don’t like the Sherpa collar, just remove it. 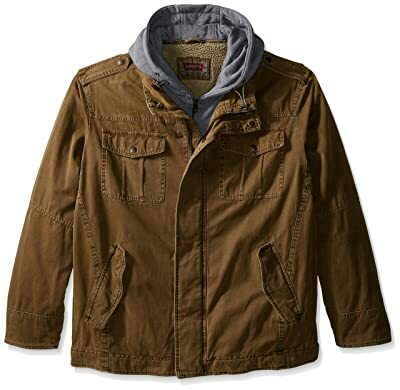 I’m going to end up this list with one more good news for big guys, this Washed Cotton Four-Pocket Hooded Trucker Jacket to vary your options. Like the previous one, this levis sherpa jacket for big and tall men is crafted entirely from cotton with Sherpa fleece lining on the backside and quilted on the sleeves to ensure you will feel warm during cold winter. This time, Levi’s offers from large tall to 4X to ensure any big and tall guy can choose the most suitable jacket. Take note that there are two kinds of sizes, which is the X-tall and the normal X. The X-tall will come up with longer sleeves and torso. And compared the width between the X and the X-tall, I feel that the X-tall is a bit wider, but its length is perfect if you’re a tall guy. In terms of style, this Sherpa coat is completely opposite to the previous counterpart. With shoulder epaulettes, washed cotton, neutral and retro colorways and flap chest pockets, it delivers a unique, cool vintage vibe to soup up your outfit significantly. Take note that its flap button pockets are large enough to accommodate a smartphone or a wallet whilst the sided ones are perfect to keep your hands warm. Also, it’s more elegant and closure with zip-out French terry hood and bib, some snap buttons on the waist tab and cufflinks to adjust the fit level to your body. Besides, you can remove the hood when not in need. I have just gone through from A to Z all must-try Levi’s Sherpa jackets, who should go for it and some hints to style this iconic item this summer. Besides, I also try to give you the most positive reviews on each single product, especially about their warmth, comfort, durability, size and design. They are the most common issues that novices want to know the most during their consideration. I will update some more must-have Levi’s jacket in this collection in the future, especially the new released, if they meet my standards. Hoping that this article is useful for you and help you find out the most suitable design to style trendily this winter. Any questions or helps, please leave them in the comment section below, or feel free to send me an email, I’m going to answer them as soon as possible.